Welcome to The PYT's! This male fronted 5 piece are an exciting, contemporary addition to your wedding, party or corporate event! Performing a classic combination of rock, pop, funk, soul, RnB and disco, there is something to get every guest on the dance floor strutting their stuff! This Midlands based band are hot out of university and are at the top of their musical game! Available UK wide, they deliver a hard-hitting, fun show that promises to have any party pumping! 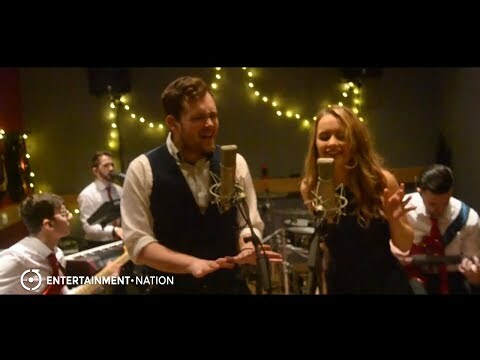 Their talented female vocalist (available as an add on) spent the end of her teens presenting on UK's Disney Channel and has vast theatre experience; whilst their impressive keys player has performed alongside artists such as Jay-Z, Rhianna and Coldplay! 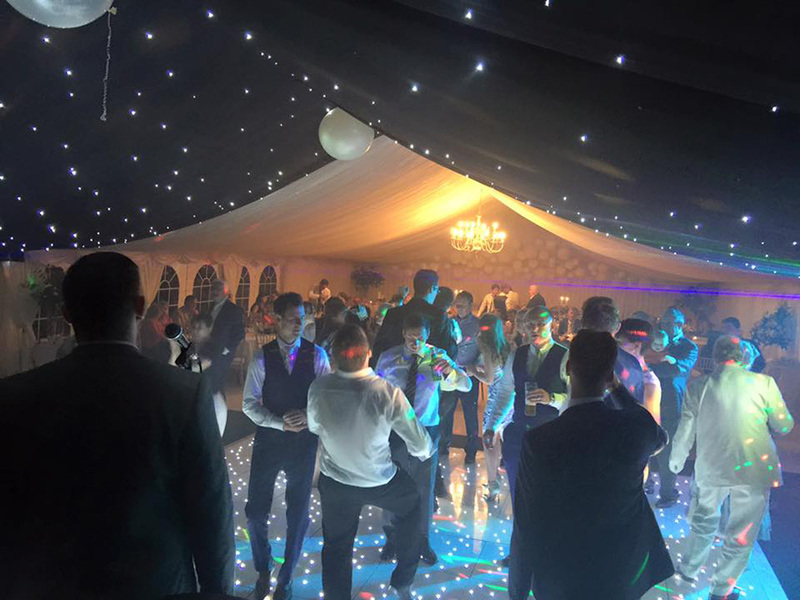 The PYT's will arrive at your venue complete with all they'll need to perform including a full PA and lighting. They also include crossfaded playlists to keep your guests entertained when they're not playing live and will happily learn and play a first dance or special request! Book this Midlands wedding band for hire today! Discover your dream live bands for hire with Entertainment Nation. View more sensational live bands for weddings, covers bands or corporate event bands. "The PYT's were exceptional from start to finish. Both my wife and I can't be more pleased with the bands performance and help from the moment we got in contact! All our guests are still talking about the night with exceptional commendation for the band. The dance floor was packed from start to end and that is down to the bands fun and energetic personality and amazing dynamic! Not looking to have another wedding anytime soon...... but if I do, I know who I'm hiring!" 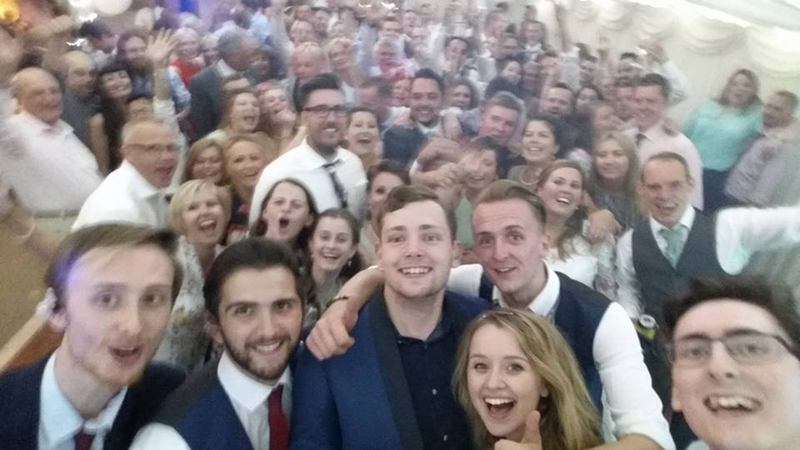 "An absolutely massive thank you The PYT's for playing at our wedding. The music and vocals sounded incredible and the song choices were excellent. The band did a great job of setting up in the allotted time and the communication involved in the build up was spot on. The band really made our wedding night that extra bit special, thank you all so much. If your considering booking The PYT's, my advice would be to do it. I highly recommend them and wouldn't hesitate in booking them again. Thank you again"
"The PYT's exceeded our expectations in every way. From the initial communications via email to the actual day, their professionalism and attitude were second to none. As the day got closer and I realized there were a lot of questions I wanted to ask, they made me feel like nothing was too much trouble, and went out of their way to ease my mind of any worries regarding the entertainment, replying to emails promptly. On the day, their set up was smooth and did not cause any disruptions. Their actual performance was faultless - the 2 x1 hour sets were a perfect mix of new and old popular songs, and the dance floor was full thanks to their energy and enthusiasm. They also seemed happy to welcome the occasional guest band member in the form of singers and tambourine players!! 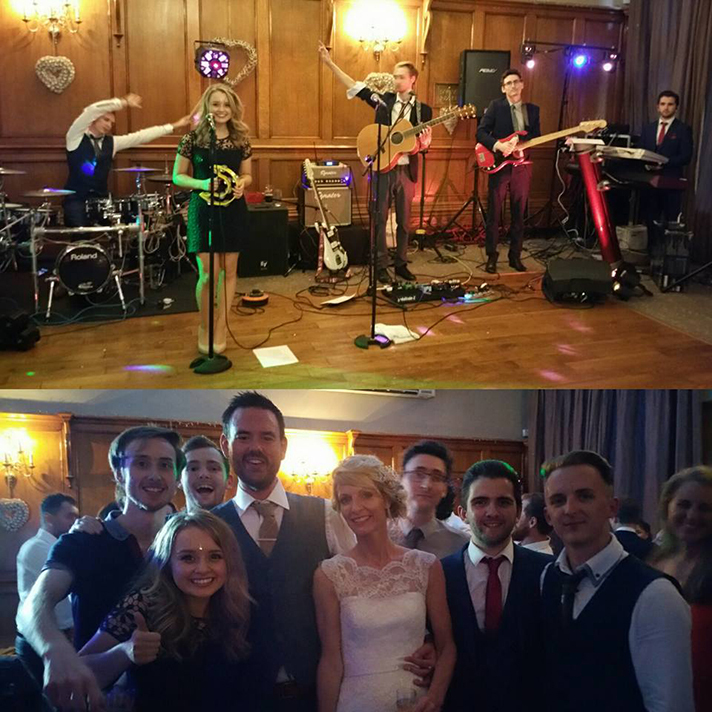 We are so glad we were lucky enough to have you guys play at our wedding - thank you so much PYTs!" "The PYT's were fantastic! Aidan, a member of the band, contacted me 3-weeks before the wedding to make the final arrangements for the day, which was really reassuring. On the day itself, they were very flexible with regard to timing, and when the time came for them to play, they were fantastic! The dance floor was packed from beginning to end. It was such good fun; I wouldn't hesitate to recommend them for anyone's special event. Thank you all"
"I don't know where to start! The PYT's were superb! From the moment they contacted me I knew I could trust them 100%! Upon arrival at our event they were respectful of the fact it was a wedding, they set up without a fuss as were the politest group of people I think I have ever met! That coupled with the fact that they played some awesome music rounded off the perfect day for us! I would more than highly recommended them and reassure anyone who is unsure whether to book them that they should do it, it'll be the best decision they ever make!" "I couldn't recommend this band more highly. We booked them after listening to their demo videos and recordings online. They contacted us 4 weeks prior to the event as agreed and sent us their suggested set list which was exactly what we wanted, they also agreed to set up before we were seated in the marquee so as not to disturb us. They let us use their mic for the speeches and were on hand to help with the sound, they also played sets on time as agreed and worked seamlessly with our DJ. From our first dance (which they learnt) though to the end of the night, all our guests were up and dancing. Our reception was in a marquee on our farm and the band were so accommodating of the facilities we had, super polite and professional throughout. We couldn't have been happier or recommend the more highly. Also fantastic value for such a great sounding 6 piece band. We wish them lots of luck in the future." "The PYT's were excellent, we wouldn't hesitate to book them again or recommend them to others. They were all friendly and entered in to the celebrations with us. They music was great and lots of people commented on how good they were." "We weren't sure what the band would be like as we hadn't seen them perform before, however they were absolutely amazing and ensured all our guests were on the dance floor - even the ones that hate dancing! We will be booking them again next year for our charity event, and would highly recommend them to anyone that's looking for a fun and energetic band." "What a great group of performers, energetic and interacted so well with all our guests. Very professional and easy to work with at all times. They were the perfect band for my daughter's 21st party. I would definitely book them again." "What can I say! The PYT's made our evening reception totally special. They catered for our unique taste in music and had the dance floor buzzing from the start to finish! Highly professional and talented musicians." "The PYT's were amazing. They really finished off a great day. Guests were commenting on how great they were. The band also accommodated my brother and 10 year old niece who performed her first ever gig with the PYTs backing her up. The contact with the band was great, very quick responses to our questions. They learnt the 6 songs we requested. The band turned up a bit early I think but were happy to sit out sit while we finished our schedule. The performance was great, they worked along side our MC too. The band looked great, smart but ready to have a bounce and jump with the crowd. The sounds and visual was great and the crowd loved them. We would really recommend the PYTs for friendliness, professionalism and if your ready to have a great party." "The PYTs were amazing. We were so pleased they were available to play on our special day. All the guests have been complimenting us on how they were the best band they've heard at a wedding and not only was their performance outstanding, their songs were a really good mix and not just your standard wedding songs which made their set that bit more interesting. They really got involved and made the dance floor come to life. We would recommend them to anyone looking for a wedding band and would like to thank them all for making our night incredible. The definitely deserve 5*." "The party was truly amazing and I had a super time! Thank you for your help in booking the PYT's! I would have no hesitation in recommending them as a great party band! From the first contact a month before to their performance on the night, a first rate band! The dance floor was always full and I have received so many remarks on how good they were. When I arrived at the venue, everything was set up ready and they appeared at the time I asked for them to start playing. They looked great and really interacted with everybody, I really don't have anything negative to say! Definitely a 5/5 rating!!" "We wanted to take the opportunity to thank The PYT's for their amazing performance at our wedding on the 10th March in Norfolk. The enthusiasm and repertoire was commented on by all of our guests, many of whom have requested the bands details for future events. The venue have passed on their thanks for being so accommodating and friendly throughout the night. You all really did make our wedding reception fun, entertaining and exactly how we envisaged!" "The PYT's judged their audience perfectly, the range of music played ensured the dance floor was constantly packed on our big day! Never have we heard so many compliments about a group before but The PYT's deserve every ounce of credit they received and more! From the booking process right up to the performances and timings everything was so easy due to the professionalism and flexibility of the group. 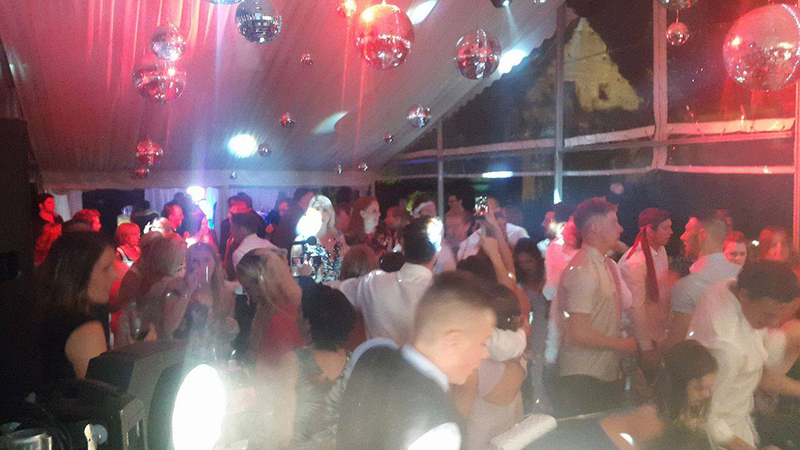 Would highly recommend them for anyone wanting a packed dance floor and positive vibe for their event / special day, together with our guests we rate The PYT's 11 out of 10 they are that good!" "I just wanted to say a huge thank you to you and The P.Y.Ts !!! I have made so many requests through and you answered them one by one an being so patient until I made my careful decision...The P.Y.Ts went above and beyond my expectations! We had run late on the timings and they adapted to is. They were all looking very smart and friendly and respected all of the many requests we had. I had a few exchanges with Dino who was very accommodating in ensuring that all was fully prepared and it went all well. The live parts were literally amazing and the lead singer went all the well in engaging with us- singing from various places in the house, we had a balcony so he went up there and then to break out room to bring back people to the dance floor- really amazing!! All of the songs they sang were executived perfectly and he even put up with my cousin, wanted to still his spot... Sorry and Thank you!! They stayed around when DJ songs were played which was reinsuring and the transitions were always done well. 5*"